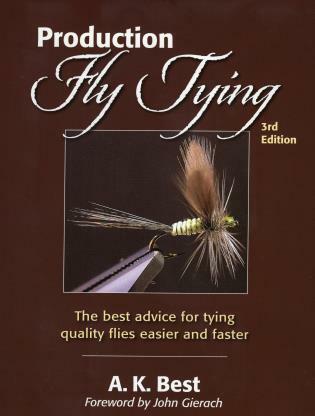 Hailed by Lefty Kreh as the best fly-tying book of the past few years and by Field & Stream as "a bible of invaluable secrets," this revised third edition of a fly-tying classic is a great resource for both beginner and expert tiers. A. K. Best has tied flies for over forty years and fly fished even longer. He is the author of A.K. 's Fly Box, Dyeing and Bleaching Natural Fly Tying Materials, and Advanced Fly Tying and has written several articles for Fly Rod & Reel, Mid-Atlantic Fly Fishing Guide, Fly Fishing & Tying Journal, and Fly Fisherman. A. K. teaches classes, makes videotapes, and ties flies for locally owned shops throughout the United States. He lives in Boulder, Colorado, with his wife, Jan, and has two daughters.